No matter how much you like driving the idea of owning a car that can do the work for you must appeal. The Google self drive car is the autopilot machine that gets the most press and the recent addition of self parking technology that Ford unveiled during Ford Futures has also gained a lot of interest, but while these American firms have been making all the noise, Sweden’s top car maker has been developing Volvo Drive Me. 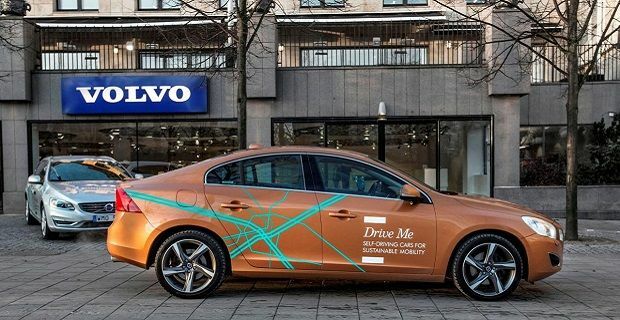 Volvo is describing Drive Me as the world “first large-scale autonomous driving project” and they have revealed that they will be testing 100 self driving cars on the roads of Gothenburg as part of the project. Volvo are set to use 30 miles of road that replicate the traffic conditions that commuters experience, so there will be motorway miles and plenty of queuing on the route. These are just the sorts of conditions that most drivers would be happy to get away from, so let’s hope that Volvo’s experiment is a success. The initiative is a being run as a co-operation between the Swedish Transports Administration, Lindholmen Science Park, the City of Gothenburg and of course Volvo Cars. The Swedish car maker plans to evaluate not only the car’s ability to drive safely and get to its destination, but also its economic benefits and how it copes with traffic and other hazards on the roads. They’re also hoping that this project will build consumer confidence in the notion of self driving cars. Volvo is expecting self driving cars to feature on the roads of Gothenberg by 2017 and have announced that the project will begin in early 2014. As long as the research and development they’re planning keeps progressing and there are no major problems with the Self Drive initiative, we’re sure they’ll reach their goals.